The car park was already full when I arrived at the Daycare. Still hopeful of finding a spot I drove to the front row next to the building, just as a car was reversing out of the coveted space. A space I promptly claimed as mine. Way more chatter than normal filled the air as I entered the building. Directed by one of the daycare workers I made my way to the cafeteria where I found the source of the heightened chatter. 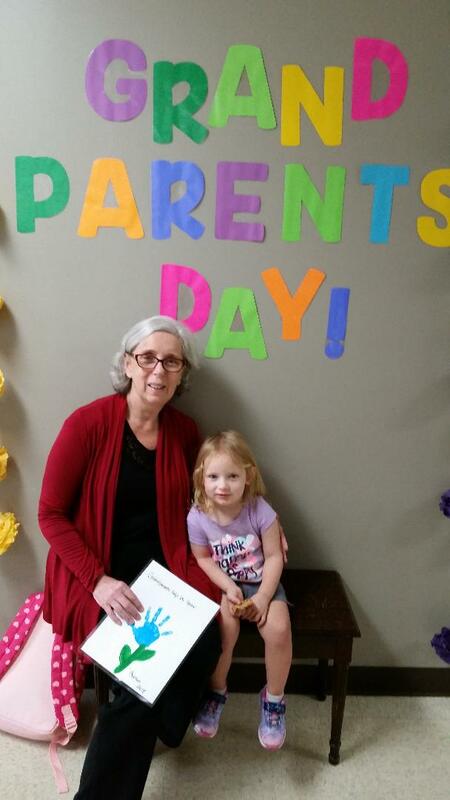 The cafeteria was crowded with proud grandparents there to support their grandchild. Scouring the room I looked for my three year old grand-daughter. She sat in her seat at the table with a drink and an half eaten chocolate chip cookie. She looked so tiny and fragile in amongst the crowd. This child has two older rambunctious brothers, she is not fragile, she can play as hard as them. Sitting quietly chewing on her cookie, most of the chocolate smeared around her mouth, our eyes met. No longer did she feel isolated in the crowd. She welcomed and hugged me, secure in the knowledge that I was there for her. Sometimes I can forget that my grand-children, are well… still children. Living in the same town I see them on a regular basis. I notice how their word vocabulary increases, their math skills improve and their critical thinking skills amaze me, and I see how much they grow physically. Sometimes I expect them, especially the boys (ages 6 & 9) to act and behave like grownups; grown-ups that have grown up that is. Seeing my barely turned three year grand-daughter looking so tiny and fragile, seeing her eyes light up and the relief on her face when she recognized me. It spoke volumes to me. She is not only in the process of growing up. She is still in the process of learning to embrace her childhood. We do the same in our Christian walk, we hurry our own process to grow-up in the Lord. Being a mature Christian is a wonderful place to arrive, but it is only gained through the process of abiding in Jesus. An old advert saying comes to mind, the advert is about a Murray Mint, which is a hard candy. The mint was meant to be sucked, not crunched. The saying was “You can’t hurry a Murray”, implying the process was to be savored and not rushed. 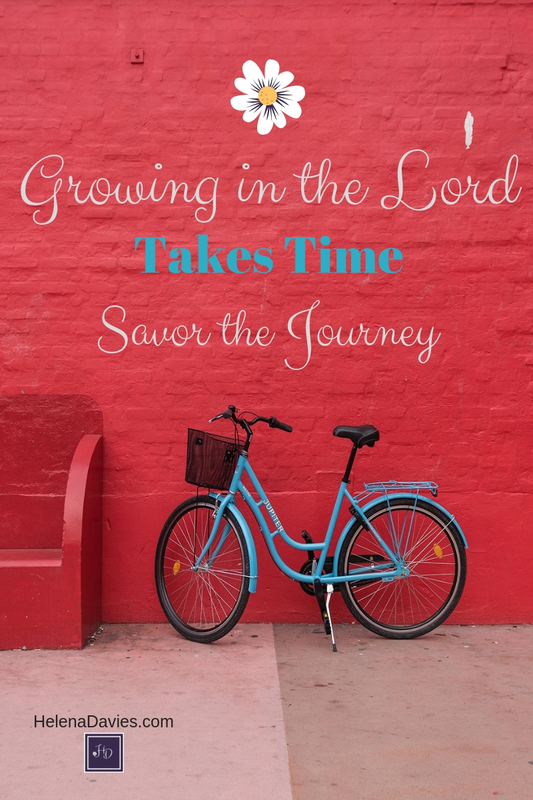 As we aim towards being women mature in the Lord, let’s savor the process instead of trying to rush and force. Let’s savor each moment in Him. It takes time to grow from being a new born Christian to a mature woman in Christ. ..Time spent in God’s presence. Time spent reading His word. Time spent experiencing His grace. Time spent getting to know Him. Time spent learning to Just Be in Him. Excellent word, Helena! Just what I needed to hear today! God’s timing is perfect isn’t? Such a great thought and so eloquently expressed Helena!